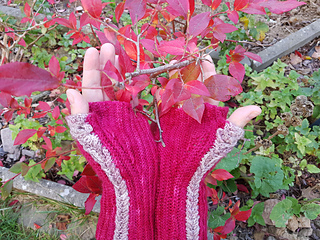 These mitts are artful and elegant. 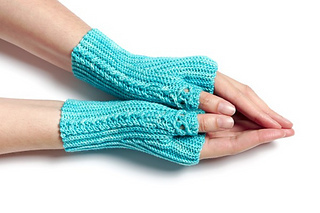 The thumbs have a particular highlight: when you put the mitt on, the owls open their eyes! 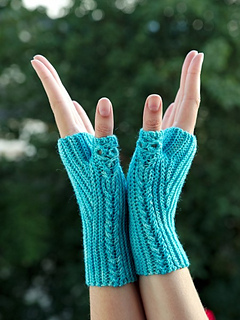 Under each owl is a stacked hearts cable leading to the wrist. 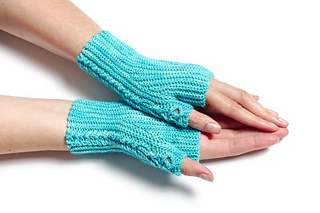 These mitts are crocheted in back loop only slip stitches. They are crocheted using horizontal braids, a technique I invented. 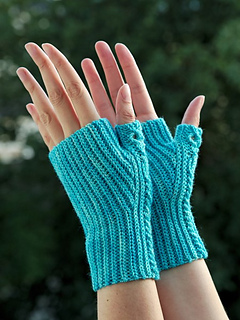 You also need a darning needle for seaming. jeweils ein Herzzopf bis zum Handgelenk. Die Pulswärmer werden aus hinten eingestochenen Kettmaschen gearbeitet. Die Zöpfe sind horizontal, eine Technik, die ich erfunden habe.